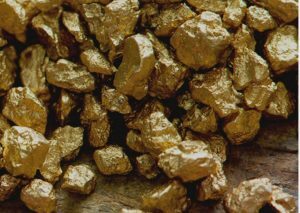 ALASKA – The Donlin project – a 50:50 joint venture of Toronto’s Barrick Gold and Vancouver’s NovaGold Resources – has reached a major milestone in the advancing one of the largest undeveloped gold deposits in the world. The U.S. Bureau of Land Management (BLM) and the U.S. Army Corps of Engineers have issued a joint federal record of decision for the project. This marks the completion of the environmental review. Additionally, the Corps issued a combined water and harbour permit. The BLM also issued an offer to lease for a natural gas pipeline right of way to the project site 450 km northwest of Anchorage. The Donlin deposit contains approximately 39 million oz. of gold in 541 million measured and indicated tonnes grading 2.24 g/t. The mine has the potential to produce more than 1 million oz. per year over a mine life of at least 27 years. The proposed mill will have a throughput of 53,000 t/d. The property has good exploration potential, as only a 3-km portion of the 8-km gold belt has been thoroughly tested. Barrick and NovaGold continue with the Donlin optimization studies and work on updating the 2011 feasibility study that proposed a preproduction capex of US$6.7 billion.